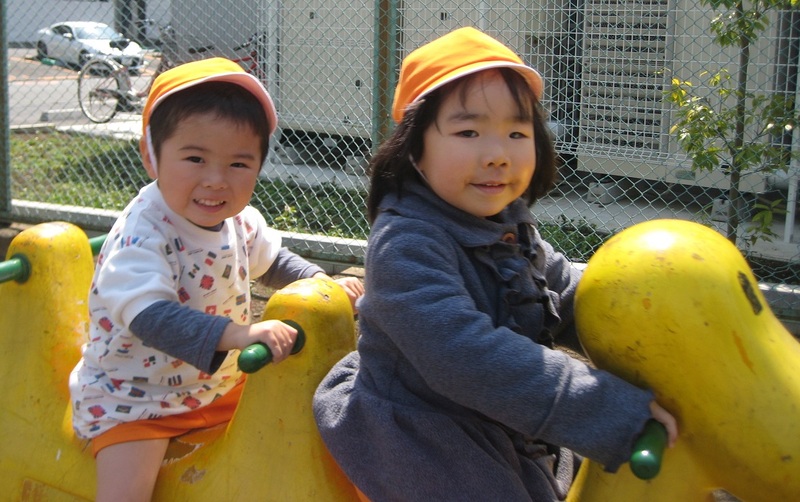 International Preschool/Kindergarten/Nursery School/Day-care Center in Tokyo, Japan. The Kitty International Preschool program runs Monday through Friday from 9:00 to 14:00 except on national or school holidays. Our fun and engaging curriculumn allows children to learn in an English environment alongside their peers under the guidance of a native speaking teacher. Varied lessons include outdoor activities, cooking, arts & crafts as well as plenty of English songs, games and vocabulary. Prices listed below are for students attending five days a week. Please contact us for more details if your child plans to attend fewer days a week. Moreover, the fee for teaching materials (excluding middle and upper level kindergarteners) is included in the tuition fee. Maintenance and facility fees do not apply. Note: Teaching materials from the middle and upper level kindergarten courses are an additional ￥24,000 + tax per semester. 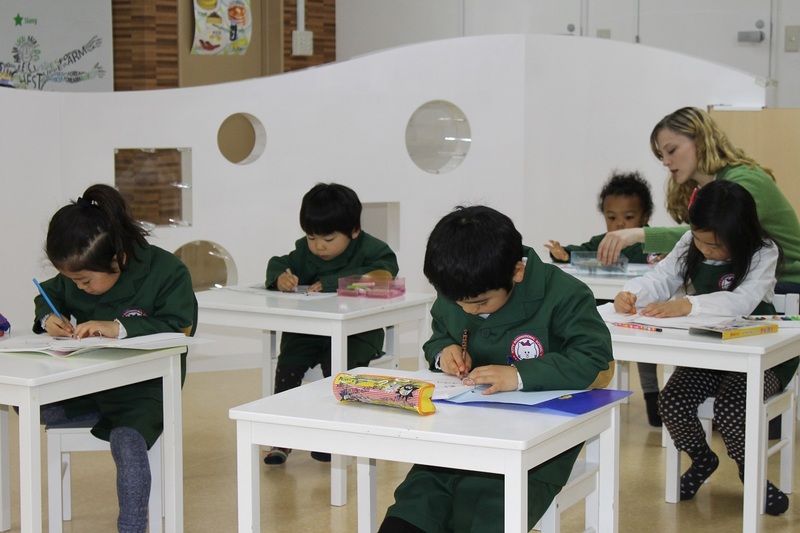 Our Center-Minami Campus (Yokohama) offers a similar preschool & kindergarten program, so if you are interested in learning about it please contact us at: info@kitty-club.com! Super Kids International classes are geared towards young learners and can be taken in 2 or 3 hour options up to five times a week. Students are able to do many fun activities such as daily outdoor walks, English activities and art. Classes are designed to lay the groundwork for lifelong English learning and encourage children to think about the world around them. There are both Kinder (longer classes, expanded curriculumand Kids International versions. Annual maintenance fee: ￥1,000+tax Yen paid on July, November, and December of every year. Teaching materials fee: Paid upon entrance ￥1000 to 2400 + tax (Pouch/file etc). Teaching materials and snacks are included in the monthly fee. ★ Step 2: Attend an admission interview at the 1 day challenge school. Feel free to ask any questions or discuss any concerns. ★ Step 3: After receiving an explanation of school regulations and agreements by our staff, complete the application forms and pay the entrance fees. ★ Step 4: Send the other tuition and school fees to the specified bank account by the appointed day. 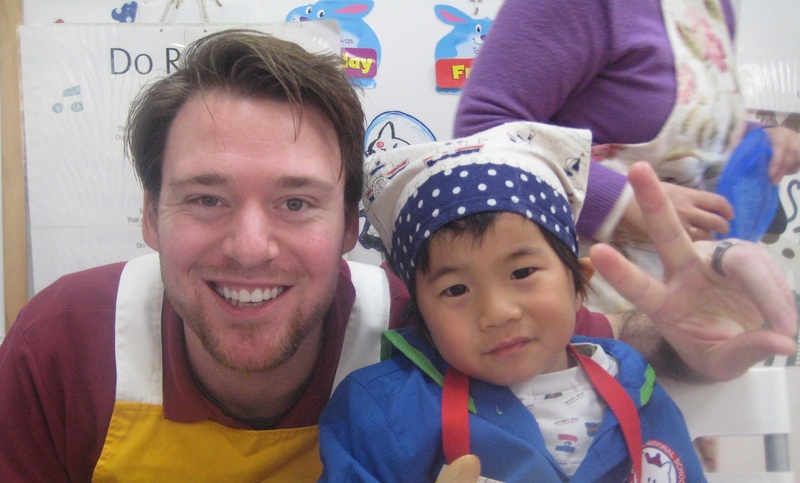 International Preschool/Kindergarten/Nursery School in Tokyo, Japan.